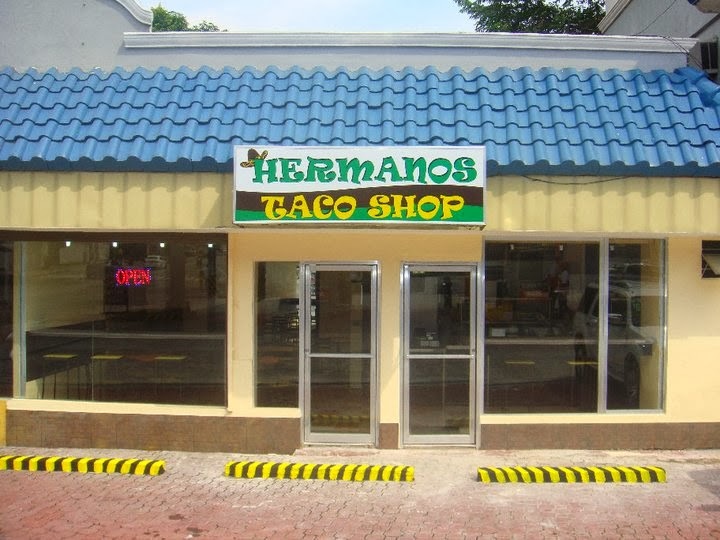 Sweet Tooth Break @ Hermanos Taco Shop! Okay, sweet tooth needed a break even for a while! haha! So my friend decided to drop by at Hermanos Taco Shop. I've heard that different celebrities were really visiting this place. The place is hard to locate if you're looking from the highway. The place is simple, a bit small, but well ventilated. Beef Quesadillas (250 pesos) - It was a huge cut quesadillas generously filled with oozing cheese and shredded beef! Rolled Tacos (195 pesos) - This was my friends order. If you're a fan of crispy thingies or chips, go for this one! It's a crispy taco that has filling inside drizzled with their special cheese and creamy sauce!